Lawrence Gowing may have been a “critic’s critic,” but his nimble ruminations on Vermeer remind us that art is worth studying entirely on its own terms. Johannes Vermeer was the Steph Curry of 17th century painters: a dazzling mack daddy who spent lengthy periods of his choppy forty-three year life layering lapis lazuli and ultramarine and madder lake onto some of the most beautiful paintings ever created in human history. To ask how he perfected the glowing pour of his domestic scenes through painstaking brush strokes is to court trouble. Did he do so through mirrors and lenses? Does the Hockney-Falco theory have any real bearing on appreciating his work? 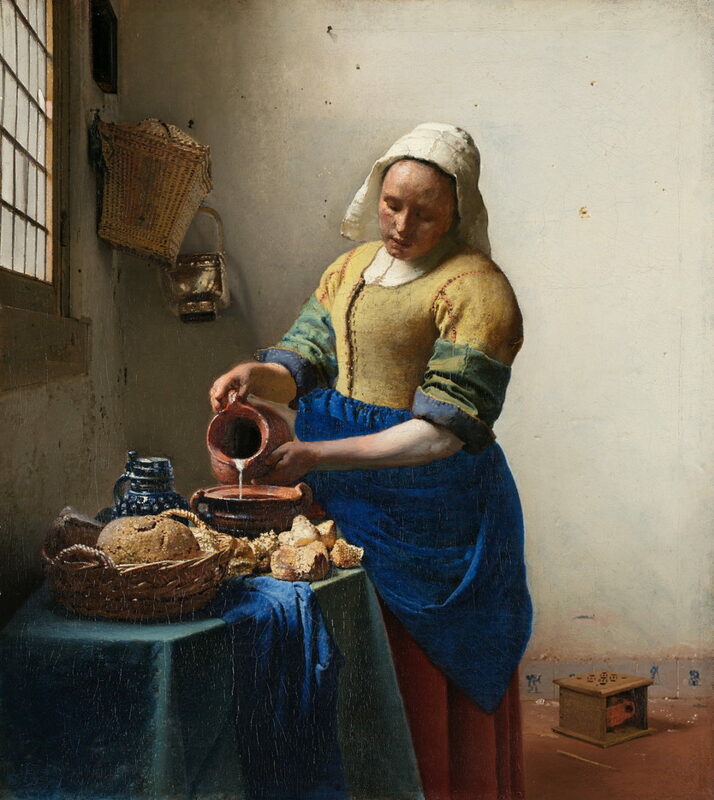 Vermeer famously left no record of how he achieved his elegant handwrought touch, which has left many to become obsessed with the question, even taking the trouble (as Tim Jennison, subject of the controversial Penn and Teller documentary, did) to learn Dutch, which is a maddening language by all reasonable standards. The great mystery of how this genius mastered light purely by eye and through no apparent line work, all two centuries before the camera’s invention, has been taken up by such feverishly committed investigators as Philip Steadman, an architect who meticulously measured Vermeer’s interiors and constructed a one-sixth scale model of his room to uphold the theory that Vermeer used a camera obscura. For now, our attentions are with Lawrence Gowing, a self-taught art historian whose Vermeer obsession resulted in a highly useful and slyly passionate book, a short but smart volume bizarrely downplayed in The New York Times‘s Gowing obituary, but a title that the Modern Library judges were at least munificent enough to rank above the likes of Robert Caro eight years after Gowing kicked the proverbial bucket of paint. Gowing frames Vermeer’s achievements by observing that this painter, unlike his 17th century Dutch peers Gabriël Metsu and Jan Steen, eschewed line and overt modelling work. Vermeer’s purity as an artist emerged with his curious pursuit of diffuse light at all costs. He remained quite impartial about how light spilled into his scenes. 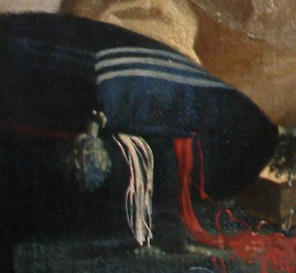 As Gowing notes, even a detail such as The Lacemaker‘s cushion tassels (pictured left) “have an enticing and baffling bluntness of focus.” In an age when anyone can instantly snap a picture to memorialize how light drifts into a room, this revolutionary approach cannot be understated, especially because Vermeer was confident enough in his aesthetic to push against the mercantile herd even as he served as head of the Guild of Saint Luke. In the seventeenth century, painters wanted to be noticed. They were, after all, artists with constantly grumbling bellies. So they tended to emphasize particular objects, even if it meant exaggerating the look, in an attempt to stand out. They might approach a patron and say, “Ha ha! I am Hendrik Van de Berg, the greatest painter of Maastricht! I have fifty thousand followers on…well, just imagine a world, preposterous as this may sound, in which short text messages determine your stature among peers and, yup, that would be me! Art King of Maastricht! Anyway, that nifty apple in the far right corner may look a little unnatural, but, dude, I think we can both agree that it really pops! And it will look good in your study while your starving servant polishes your boots and dreams of something to eat! Oh, I know you can’t pay your servants and that you are, in fact, fond of flogging them. But I am an artist and surely you can pay me! I’ll even throw in a complimentary whipping if you buy my work! Think of it as a patron reward!” Vermeer, by contrast, willfully blurred the apple. Vermeer’s peers in his hometown of Delift understood what he was doing, but the cost of being an artist was, alas, premature death due to exasperated financial stress. Gowing’s gushing critical distinctions are a welcome reminder that it’s sometimes more important to know why art stands out rather than how it is created. The “No haters” crowd, fed on the soothing alfalfa sprouts of director’s commentaries and lengthy pop culture oral histories, would rather view Vermeer as a magician or a technical wizard than an artist. If Vermeer did use a camera obscura, he was certainly not the only Dutch painter doing so at the time. Gowing emphasizes that Vermeer’s style went above and beyond merely accumulating details. What should concern us is why he was so committed to the optical. What counts is Vermeer’s commitment to the visual experience: commonplace scenes that are somehow both radiant and persuasive depictions of reality. Gowing helpfully points out that any Vermeer investigation of life was never direct. The paintings were often established at an oblique angle. He singles out Vermeer’s “inhuman fineness of temper,” a tranquility that is quite extraordinary given that Vermeer was working with ten kids running around and the financial turmoil he had to endure. In only three of the twenty-six interiors that we have is the space between painter and sitter at all uninterrupted. In five of the others passage is considerably encumbered, in eight more the heavy objects interposed amount to something like a barrier and in the remaining ten they are veritable fortifications. It is hard to think that this preference tells us nothing about the painter’s nature. In it the whole of his dilemma is conveyed. The book’s second part is more akin to descriptive liner notes for a must have box set and doesn’t quite match the first part’s perspicacity. But Gowing does provide several useful antecedents (such as Jan Van Bronkhorst’s The Procuress) that allow us to track Vermeer’s development as an artist. Again, because Vermeer didn’t leave much behind on his life or methods, it has been left for us to speculate on how he cultivated his exquisite style. But Gowing is too sharp a critic to be seduced by gossip and thankfully confines his findings to other paintings, showing us several paths leading us to Utrecht Caravaggism and trompe l’oeil. I must warn you, however, that Gowing’s Vermeer, despite its ostensibly breezy length, will likely have you losing many hours studying Vermeer. What Gowing could not have foreseen is that his ruminations would be even more vital in a climate where some otherwise smart people believe that an ire-inducing and ill-considered think piece cobbled together in an hour constitutes serious thought. Next Up: George Dangerfield’s The Strange Death of Liberal England!